A very small proportion of Glenturret’s stock is kept back for release as a single malt. The official bottling was a 12 year-old until recently – the new standard line is a 10yo, with some single cask bottlings appearing from time to time. 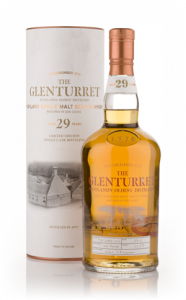 Independent bottlings are extremely rare and the overall climate of Glenturret’s production means that certain bottles are hard to find, but fortunately the prices remain extremely good.